The traditional look of the arched, Excalibur Wood Fireplace doesn't stop it from using the latest technology on flow through vents to provide you with far from traditional heating capabilities. 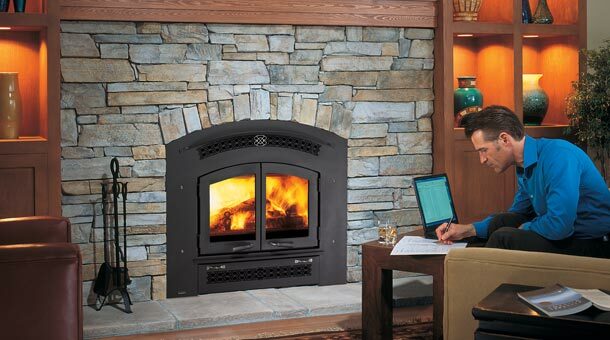 Providing up to 70,000 BTU, this fireplace can handle the load of up to 2000 sq. 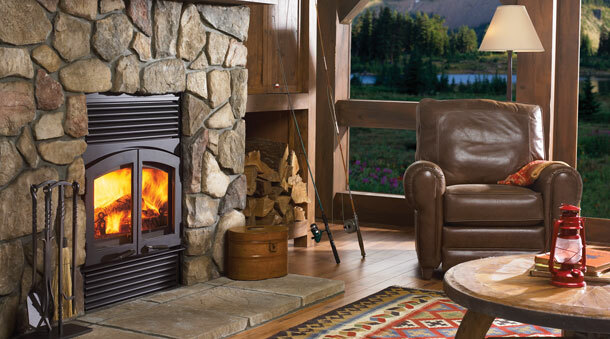 ft.
Width 43" Depth 28" Height 38.75"
The R90 is a large wood fireplace that efficiently delivers up to 70,000 BTU of heat. Designed to handle the heating load of a 2,000 sq. ft. house, it comes with up to an 8 hour burn time. The air wash system keeps your glass cleaner for longer. It can handle a log size of up to 20". ​Height 38.75" Depth 28" Height 42.6""
For more information on Regency fireplaces and stoves, go here.